We care about nothing more than the satisfaction of our customers. We aim to provide every single one of our incredible customers with excellent service and installation. In order to demonstrate our genuine commitment to 100% customer satisfaction, we extend to you our Peace-of-Mind Guarantees. We won’t lie to you and say that every single piece of manufactured air conditioning equipment is completely perfect and without error. Because we aim to provide our customers with nothing but the best, we offer amazing “No Lemon” Guarantees. Let’s put it this way, as long as you invest in and keep your Member Value Plus agreement continuous, if your air conditioner compressor fails two or more times within the first five years, we will replace it with a brand new outside unit. Similarly, if your furnace’s heat exchanger malfunctions or fails within its first ten years we promise to install a brand new furnace. We are truly committed to your long-term satisfaction. HVAC needs are completely unpredictable. 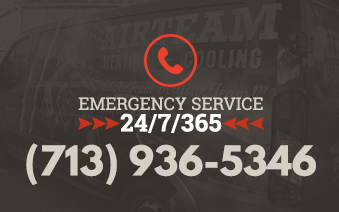 Because of that, we are available to service your air conditioner and/or furnace 24 hours a day, 365 days a year. We don’t’ take a vacation because your need for a properly functioning air conditioner and/or furnace doesn’t take any vacations. Our staff of experienced and qualified professionals is on call for 24-hours every single day of the week. No matter what time or day, we are here for you. Our technicians are second to none. Their skill, attitude and trustworthiness are what separates them from everyone else. Because we care so much about the satisfaction of our customers, our technicians wear floor-saving booties, clean up after the job, never smoke or use foul language in your home and always take complete responsibility for your satisfaction. However, if for some reason our technicians don’t live up to these standards while working in/around your home, we’ll alter your Member Value Plus agreement to include an extra visit to your home completely free of charge. Just make sure to notify us of any dissatisfaction with our technicians the same day they visit your home. We are not a sales company. We are not in the business of meeting quotas and making sales. Because of this, we prioritize our service to our Member Value Plus agreement customers first. Our MVP customers always are served as if they are in front of the figurative line. So, if you are an MVP customer, you have us whenever you need us. You mean that much to us.